Shea Butter - Amazing Benefits For Skin Repair! 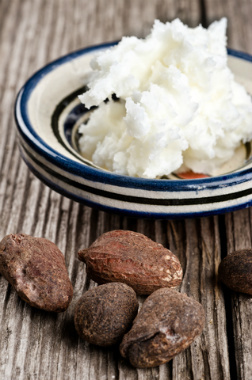 Did you know that shea butter is the #1 healing balm in Africa and has been used for centuries? Here, I will share the amazing benefits of this tremendous cream. This amazing butter is extracted from the kernel of the Karite tree, which is located throughout African savannahs. . This healing butter contains vital nutrients, phyto-chemicals and a superb and powerful healing fraction. This great balm has soothing, moisturizing and protecting effects. 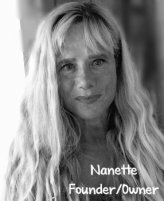 Due to the presence of a sizeable quantity of unsaponifiable fats, its content in vitamins and other active elements, many wonderful benefits can be seen with its use. It displays a natural protecting role against UV rays as well as prevents certain sun allergies. This enriching body butter also helps cell regeneration and capillary circulation. This favors the healing of wounds, skin cracks, psoriasis, eczema, dermatitis, age spots, sunburn and skin ulcers. Can be considered a natural vitamin A cream. Vitamin A contributes the ability to renew and regenerate the skin lending towards a younger-looking appearance. 2) serve as an anti-oxidant to prevent skin damage caused by free radicals. In the cosmetic field, this property is an asset against skin aging. It has restoring effects on the epidermis, also on dry and fragile hair. Dry skin, wrinkles, creases, crows feet and uneven skin tone are all helped. It has an anti-elastase characteristic which makes it a good active ingredient against stretch marks. 1. 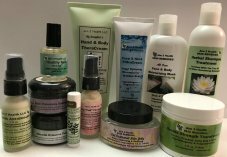 Treatment of dry skin, eczema, psoriasis, dermatitis and minor burns. 5. Treats dark spots, skin discolorations, stretch marks, sunburn, wrinkles and blemishes. 6. Massages, diaper rash, and as a hair conditioner. 7. Lip balm, hand cream, organic skin cream, moisturizing soaps. 8. Itchy skin treatment, blotchy skin treatment, wrinkled skin treatment. 9. Acne skin treatment, new skin scar treatment, dark skin spot treatment. 10. Baby care products such as baby lotion etc. 11. Small skin wounds, allergic reactions and frostbite. Below you will find a link to the natural shea butter products I recommend that, in my professional opinion, work BEST.